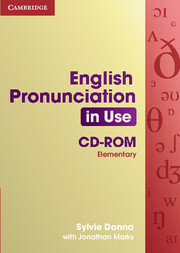 English Pronunciation in Use: Elementary is a comprehensive reference and practice book for learners of English and can be used by individual learners working alone, or in class. 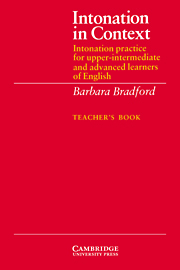 There are 50 easy-to use units with key pronunciation points presented on the left-hand page with a range of exercises on the facing right-hand page. All units are supported with audio material which is available in cassette or CD format. The audio material uses a clear model of a standard British accent for presentation and repetition exercises. In receptive exercises different accents used to give learners the opportunity to listen to a range of English accents. There is also a useful reference section. The elementary level will focus on those areas of pronunciation relevant to elementary level learners (e.g. differentiation of sound pairs and pronunciation for listening).